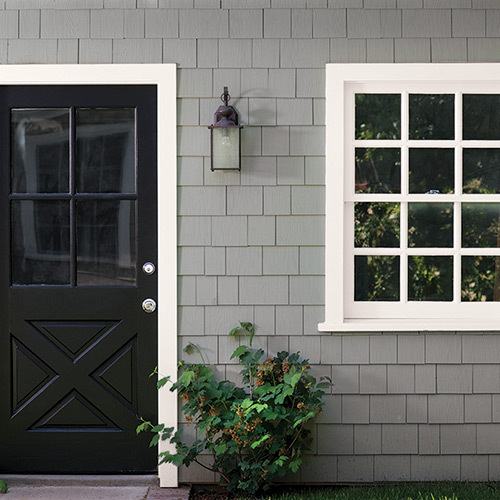 Paint your front door to transform the look of your home. Redoing your entire exterior may be on the top of your wish list, but this overhaul requires lots of time and money. A quick and easy fix to renovate the outside of your home is repainting your front door. 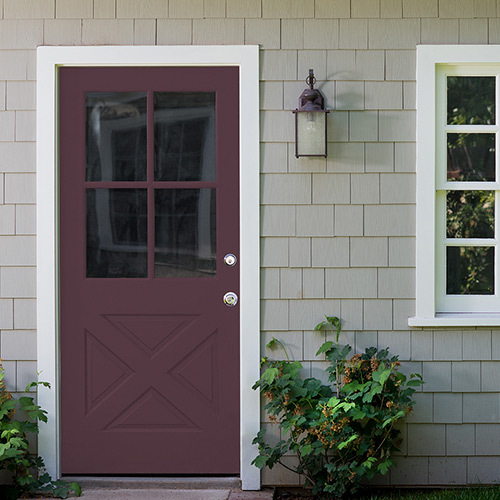 It will only take three simple steps with one of these ideas for front door paint colors. The first step is to thoroughly wash your front door. The paint won’t stick or completely cover a dirty surface. Use soap and water and rinse thoroughly so that it's as fresh as it was when you first had it installed. For a more formal look, consider classic black, like Onyx Black which will add a touch of elegance and tradition to the outside of your home. Just like in your wardrobe, black is versatile and will compliment just about any style. You can't go wrong with classic and timeless colors. Your front door will be the first thing you and your visitors will notice when they pull into the driveway. For a bold statement, consider a bold standout red or magenta like Rum Raisin or a bright blue like ike Dragonfly. These bright colors will immediately give your home a whole new wow factor. Add energy and cheer, making all who enter your home feel welcomed. Be sure to consider the style of your home, the current exterior color, and what colors bring you joy. If bright isn’t your thing but you want something unique and modern, you can choose a vivid purple, deep indigo, or even a midnight blue. These quirky colors for front doors will give even the most traditional home a sense of whimsicality and fun. A rich, deep color will dramatically change the look of your home from boring to eye-catching. No expertise or previous skill is required. The instructions on the back of the paint can and our painting advice guides will give you all the guidance you need. Clear an afternoon in your schedule to get started and you’ll be brushing paint on your front door in no time. A pop of color will add a feeling of freshness you didn’t know you were missing. 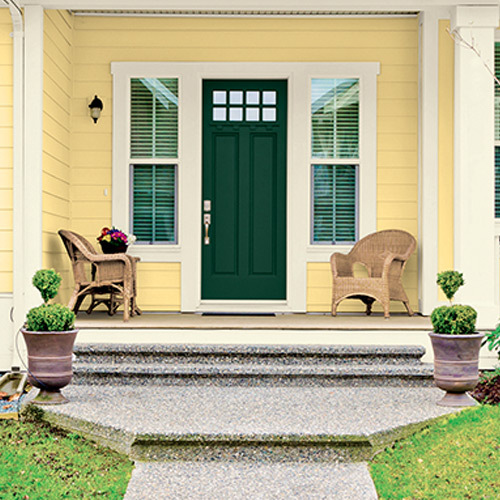 This three-step front door makeover is a simple, but high impact way to boost curb appeal and give your home a whole new look. Cool harmonies look fresh and calming. Painting a door is a fun and easy weekend project, and a great way to convey your personality.